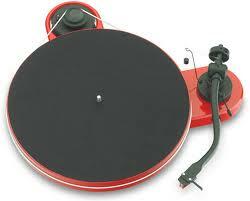 Last spring I acquired a new turntable: Pro-Ject Audio RPM 1.3 Genie. My old turntable was a very nice Sony purchased in 1978 – still works, but a little worn out. I have been truly enjoying the new turntable – it has been an inspiration to re-explore my record collection and to crate dig again. I was pleased to see it highlighted in the recent Men’s Journal “59 Perfect Things” article http://www.mensjournal.com/in-the-september-issue-perfect-things.